General James L. Jones, former National Security Advisor, Commandant of the Marine Corps. 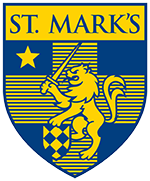 One of the many hidden benefits of a St. Mark’s education is the chance to hear and visit with unique speakers who, one way or another, make their way to 10600 Preston Road. Each year, the School welcomes authors, doctors, entrepreneurs, servicemen, scientists, and other professionals to share their wisdom and experience with our boys. Apart from single-engagement speakers, the School hosts several annual programs that bring numerous distinguished guests to campus, including the Literary Festival, the Visiting Scholars Program, and the newly instituted STEM Festival. Chris Winn ’99 ~ Vice President, Mergers & Acquisitions at RealPage, Inc.